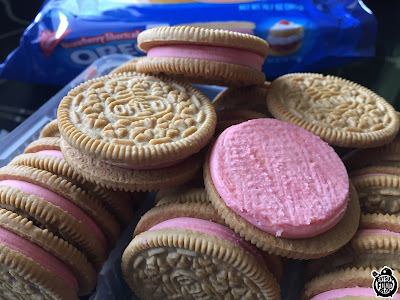 FATGUYFOODBLOG: Strawberry Shortcake Oreo Cookies! Listen, at this point, nobody out there is surprised to see another Oreo review from the gang at Fatguyfoodblog. At this point we have reviewed so many that we have to review ALL of them. But after my last review I saw something online and I vowed to talk about it before the next Oreo review. So here we go. You know what I noticed looking at other folks on the internet reviewing new flavors of Oreo Cookies? Complaining! Not reviewing. We all know they can't all be a home run. 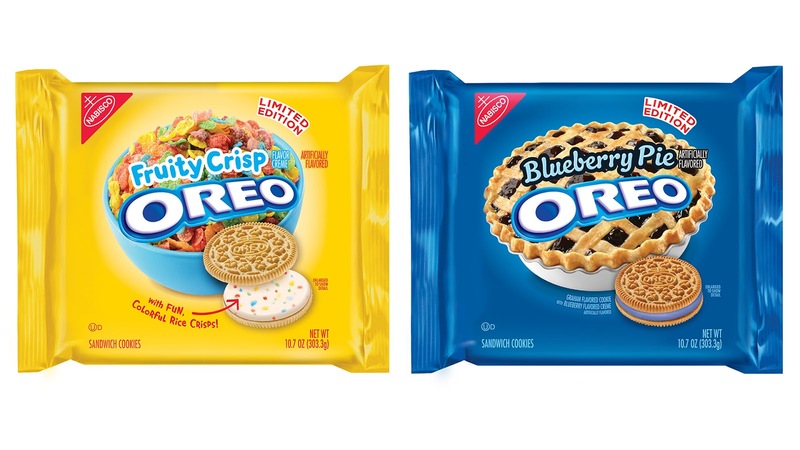 No, no, this was complaining that Oreo does all these wild flavors and it's pleading with them to stick to the original and that's it. 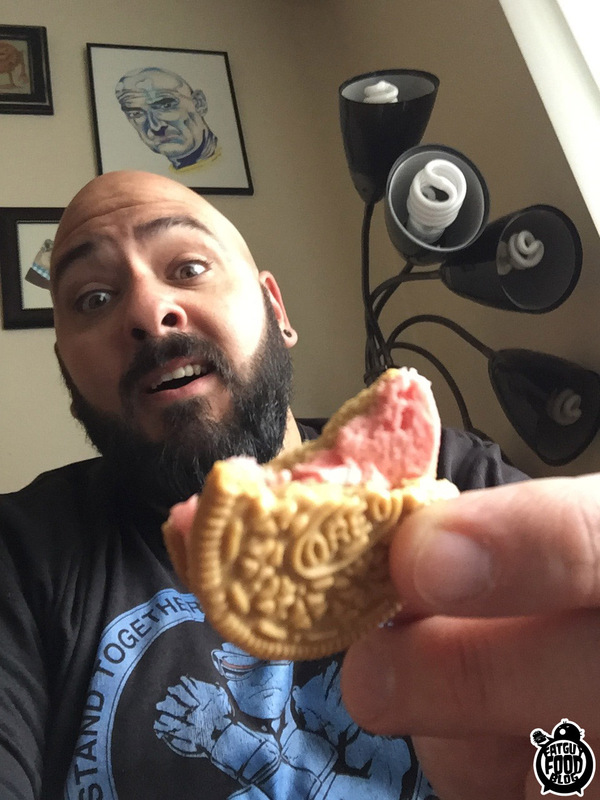 To those folks, I say this: STOP WRITING A FOOD BLOG THAT REVIEWS JUNK FOOD! You don't deserve it! You should praise innovation and risk taking! In a world full of the same old crap, one cookie company wants to try something new every damn time you turn around, and you're going to complain about it? WEAK. You'll never hear that crap from us. That's what makes us the greatest food blog on the planet. Then they release another wild flavor and go back to dancing. Here's what they are throwing at us for the beginning of summer 2016! Strawberry Shortcake Oreo cookies! I can't believe they haven't done this one sooner. A classic summer dessert now reimagined as a sandwich cookie. But does it deliver the promised flavor, like the Cinnamon Bun Oreos, or do they fall flat like the Fruit Punch Oreos? I was expecting these to be very similar to the Strawberries n' Creme Oreos that came out back in 2013, but from the moment I ripped open the package and the aroma of them filled the air, I knew they were going to be different. It was a pleasant, sweet, fake strawberry flavor and within minutes it was like I just lit up a giant Strawberry Yankee Candle because the entire room was bathed in it. Before I even take a bite I'm taking away points for one little oversight. The package isn't resealable. In this day and age that blows my mind. For those of us who try not to destroy a whole package of Oreos in one night, well, this puts us in a spot. Because on one hand, I like to enjoy them a couple at a time here and there. If I can't reseal the package, I'm looking at a couple of days tops from when I open them to when they are stale as crap. Therefore, it forces me to have to eat way more than I want. Even though I do really want to, when it comes down to it. But still. I expect this kind of thing from Keebler, but not you, Nabisco. But the cookies themselves? They are great! The strawberry creme in the middle is fruity but not tart. 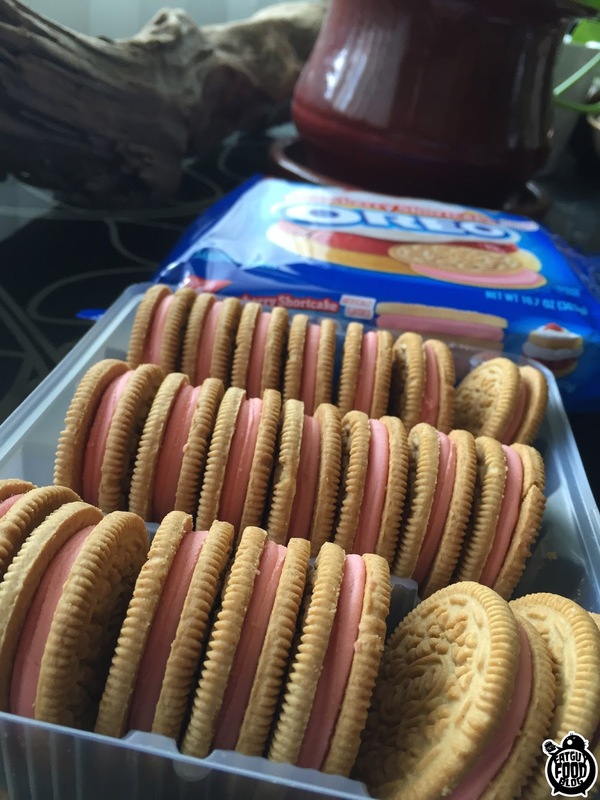 It's sweet strawberry frosting sandwiched between two golden-ish Oreos. My brain tells me they taste slightly of angel food cake, but I'm not sure if that's true or not. My brain cannot be trusted here. 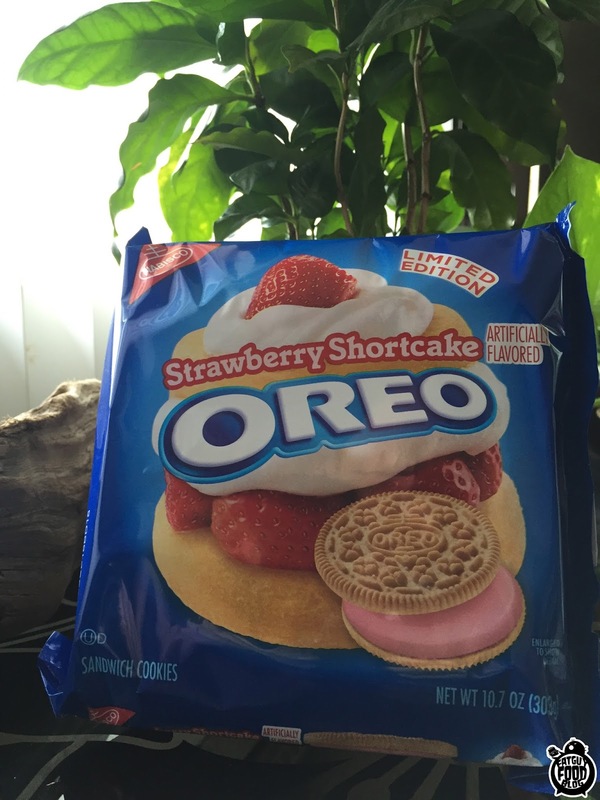 The strawberry creme and cookie combination is fantastic and when I ask myself if they nailed the flavor as I'm eating one of these, I lean towards yes. But the only downside is that one of the best part of having a real Strawberry Shortcake is how fresh it tastes. Fresh berries all sliced up, with whipped cream on top of fluffy fresh angel food cake. It's one of those desserts that you eat and it reminds you that every dessert doesn't have to just be chocolate/caramel/peanutbutter/ sugar blasts. Some can have fruit! So damn fresh! Unless you are a white trash monster who uses frozen strawberries. In that case, you might as well just deep fry it all. But that's really the only downside here. Here's an awkward picture of me holding out a mangled cookie. Just because. In the end, I give these a solid B! For a fruity summer offering, I think the Oreo wizards did a great job this time around. They capture a tasty fake version of a beloved summertime dessert. Chalk another win up to these guys! The hilarious part is that there are new flavors being released in a month! So we can't even joke about how soon we'll get new Oreo cookies because it's already happening! Fruity Crisp and Blueberry Pie! As soon as we get our grubby mitts on them, expect to see a review! Review by Rich Brunelle, who currently resides in a pile of homeless people called Seattle. Whaaaa? How can they not be resealable?? Currently in my kitchen I have: Red Velvet Oreo's, Peanut Butter Cup Oreo's and Filled Cupcake Oreo's. Every one is resealable! That might be a deal breaker.